Students3K (Kidlet Kind Keen), Launched in July 2012, is one of the top education website on the web with focus on study materials and online education including career guidance. Our main motto is to make the free resources for all kind of students and freshers. We believe in providing a platform to students where they can share their views. Here at Students3k, We share everything, which is related to education stuffs. Anyone can access the files for free of cost, including final year projects, aptitude questions and sample placement papers. Our website is nothing like any of those COPYCAT websites that you come across on the net. We are unique. We have tons of the stuffs to stand out in the crowd. Finally, the quality matters. Currently we are getting better rankings on Alexa and earning decent traffic from various countries around the globe. I’m a normal guy who is an enthusiastic learner about startups and CODE. Yeah! I love to write the code. I created Students3k because it has taken me so long to find the study materials such as previous placement papers, aptitude, mini projects & question papers. Obviously now you DON’T waste your time like me. 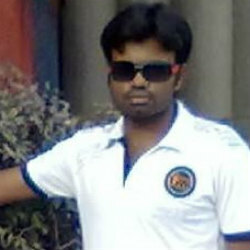 I’m an engineer from Coimbatore, India. I finished my diploma from Thiru Ramakrishna Nallammai polytechnic college (TRNPC) in 2009 and later finished my engineering in B.Tech (IT) from Anna University in 2012. Previously, I have work experience as a Technical specialist in a famous IT firm. I drastically changed my job and I don’t stick with it because of TERM concerns. Finally I quit my 9-5 job and I started my own firm. I’m fine now. We (Students3k) hold no responsibility for ANY Content. Use at your own discretion.If you like our content, then please share it in Facebook, Twitter & Google+. We DO NOT provide technical support for any type of issues which may be related to: (e.g. Questions, Solutions, Error code, Spelling Mistakes, coding & etc). Additionally, we DON’T condone the redistribution or the uses of our Content for any type of commercial gain.